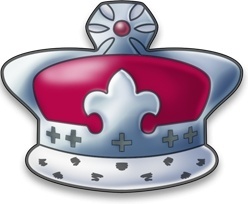 Monarchy icon in Crown. Available size : 256x256, 128x128, 96x96, 72x72, 64x64, 48x48, 32x32, 16x16 in png format. Tags: Crown, monarchy, royal, crown Free for personal desktop use only.License: Free for personal desktop use only.Commercial usage: Not allowedThese icons are only a small part of the complete set available on Fixicon.com.